With IoT already knocking the doors in the West, the basic Machine to Machine communications has to go mainstream in India soon. Vodafone is already taking some steps in this direction. We analyze how the expansion of M2M is going to impact your lives. Vodafone recently unveiled its new enterprise customer experience centre in Gurgaon. During the walkthrough, the operator revealed its focus on the M2M. 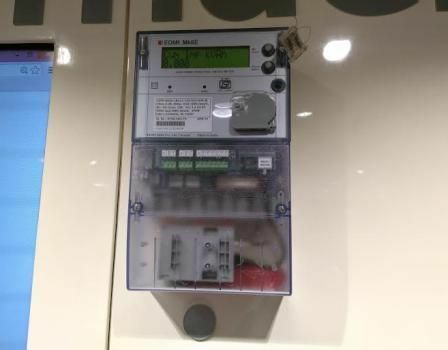 The operator is not only going big on the M2M but coming out with some innovative initiatives such as SIM-enabled electricity meters, refrigerators, cars and so on. Moreover, the operator provides a centrally hosted and secure platform to manage machine to machine deployments. For management the operator gives an easy to use self-service web interface that enables authorized users to manage information sharing as well as ensure M2M deployment is cost effective. "Vodafone India currently provides smart managed connectivity to our enterprise customers for maximum operational efficiency. Globally, we provide solutions including managed devices, connectivity and applications. In India, we concentrate on providing visibility, manageability and control to our customers over their assets. From a mass deployment perspective, we enable solutions that will change the lives of millions of people in future," says Mr. Naveen Chopra, Director –Vodafone Business Services in an interaction with Digit. After logging in, authorised users can access the Connection Dashboard that provides an overview of your entire SIM state, with quick access menus and a SIM/connection search. You will also be able to define the behaviour and capabilities of a group of SIM connections, such as permitted services, SIM states etc. and retrieve a list of SIMs based on predefined criteria such as service profile, status or custom attributes. Why is M2M important for you? ‘Smart’ devices have made our lives easier, haven’t they? 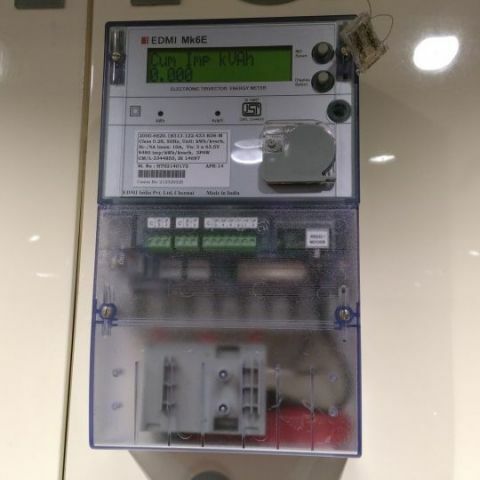 For an example, the SIM-enabled electricity meters help do away with traditional manual meter reading for bill generation. Apart from automatic bill generation, it gives authorities a better idea of consumption in a particular area and even time. In fact, you can also keep a track on your usage. It will not be surprising if we have prepaid electricity meters in future. For small and medium entrepreneurs, the M2M lets keep track of their devices without needing to physically visit each and every one of them. It helps save cost by eliminating the need for expensive GPS/GPRS devices. Moreover, it helps enhancs productivity by bringing predictability in the supply chain. A recent example is Vodafone-Mahindra tie up for the e2o electric vehicle – touted as the first truly ‘connected car’ based on Vodafone’s M2M) communication services. Drivers of the e20 can remotely access a range of features and functions by using smartphone app or dedicated web page. They can check their battery charge, remotely control air-conditioning, lock or unlock doors and find the nearest charging station. The e2o also automatically alerts its owner if the parking break is off or a door is left unlocked. As the time progresses, we’ll see diverse application of M2M in more sectors. “As M2M technology becomes more prevalent, you will see these solutions in areas of manufacturing, retail, healthcare, education, automotive, energy and commerce, to name a few,” says Mr. Naveen Chopra. "M2M and Internet of Things (IoT) are definitely going to be mainstream sooner than we think. There are obvious benefits in connecting every machine that can be possibly connected. The drivers are going to be operational efficiency, cost reduction, new business models and customer convenience." From customers’ point of view, one of the major challenges is making it so intuitive that even a layman can use it. Elaborating the point, a lot of focus has to be on ease of use. Perhaps, service providers should deliver a single window for dealing smart home, business and transportation. Moreover, each individual has own style of conducting business. Rather forcing a generic platform, there has to be a customized version for an optimum usage. As said above, the M2M has immense potential. Not just for the enterprise segment, end users can hugely benefit from the segment. With the next generation – Internet of Things – already knocking doors, it’s high time the basic M2M goes mainstream in the country. Vodafone’s initiative in the M2M segment is a welcome step, while we expect a greater participation from other service providers. Why don\'t you guys do custom water cooling for CPU and Graphics card?